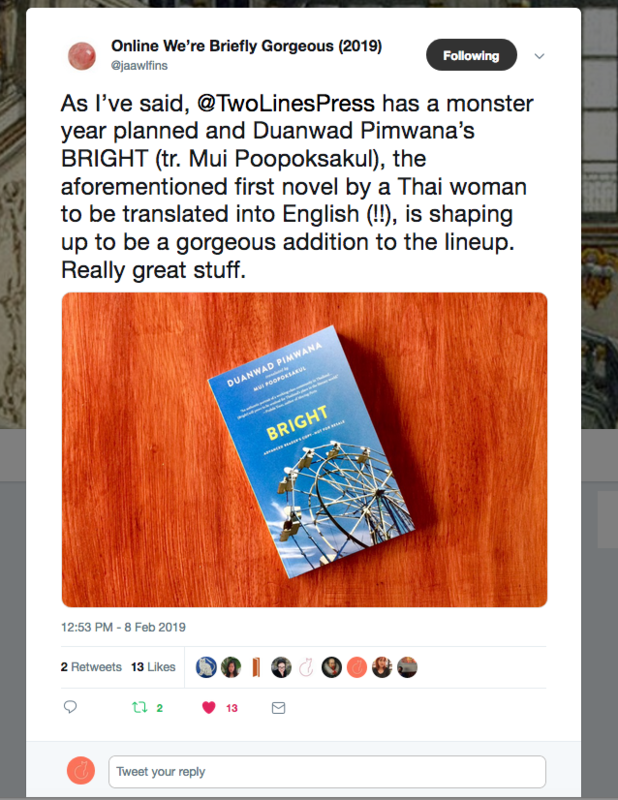 The first novel by a Thai woman to be published in the U.S., from a celebrated author known for her subtle fusion of magic realism with Thai urban culture. 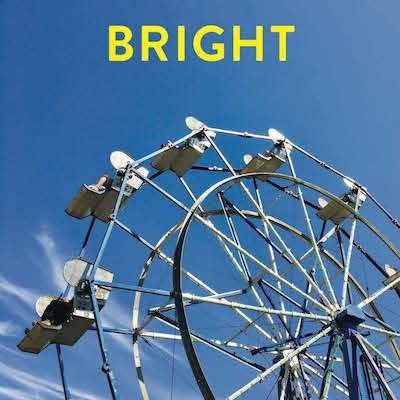 Translated by Mui Poopoksakul, Bright follows the young Kampol after he’s abandoned by his family. Adopted by the community, Kampol is soon being raised by figures like Chong the shopkeeper, who rents out calls on his telephone and goes into debt extending his customers endless credit. Pimwana’s urban, at times gritty vignettes are balanced with a folk-tale-like feel and a charmingly wry sense of humor. Together, they combine into the off-beat, satisfying, and sometimes magical coming-of-age story of an unforgettable young boy and the timeless legends, traditions, and personalities that go into his formation. Recommended in The New York Times’ “Globetrotting” feature of 2019 world literature. Read an interview with translator Mui Poopoksakul and another with the author and translator.